Newman's brand cat food is manufactured by the Newman's Own food company. Newman's Own was first founded in 1982, by Paul Newman and A.E. Hotchner. At the time, the company donated 100% of their profits, after taxes, to charitable organizations. As of today, the company states that over $260 million dollars have been donated to charity since they were first founded. After the death of Paul newman in 2008, the company has continued to uphold his business model. Though there have been many pet foods recalled by the FDA, there are currently no Newman's Own Cat Food products on the FDA recall list. Newman's Own currently offers two different dry cat food formulas, as well as several different canned cat food formulas. Newman's brand cat food does not contain any poultry by-products, which are categorized as the "leftovers" of a chicken carcass after it has been commercially processed. In addition to this, none of Newman's brand cat food formulas contain artificial preservatives, chemical fertilizers, chemical additives, corn, wheat or artificial colors/flavors. The two different dry cat food formulas currently offered by Newman's Own are available in 1lb, 3lb and 4.75lb bags, as listed on the company's website. All of Newman's Own cat food formulas are 95% certified organic. Newman's Own Adult Cat Dry Formula is designed for adult cats that are over one year of age. The first five ingredients in this formula are Organic Chicken, Chicken Meal, Organic Soybean Meal, Organic Sorghum and Fish Meal. Other ingredients include Rosemary extract, organic millet, organic flax seed, chicken liver, and organic carrots. The Guaranteed Analysis of this formula contains 32% Protein and 16% Fat. Newman's Own Advanced Cat Dry Formula is designed for cats that are over 7 years of age, or cats with the nutritional requirements of senior cats. The first five ingredients in this formula are Organic Chicken, Chicken Meal, Organic Soybean Meal, Fish Meal and Organic Sorghum. Other ingredients include organic barley, organic oats, cranberries, sea salt, parsley and organic canola oil. The Guaranteed Analysis of this formula contains 34% Protein and 14% Fat. 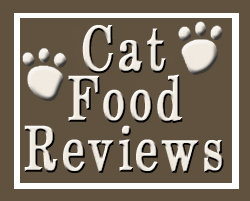 For pet owners looking to feed their cats a mostly organic diet, Newman's Own dry cat food formulas have been very well-recieved. The high percentage of organic ingredients, as well as the lack of corn, soy and artificial preservatives are a selling point for many pet owners. However, the foremost complaint that many consumers have about Newman's Own brand cat food is the high price. For example, a 4.75lb bag of Newman's Own dry cat food formula generally costs from $20-$28. Organic formulas generally contain more expensive ingredients, so are relatively more expensive to purchase. Some consumers who were searching for a low-carbohydrate formula stated that the rice ingredients in Newman's Own cat food formulas are not ideal. However, the majority of consumer reviews are overwhelmingly positive, with no reports of major problems. In general, Newman's Own brand cat food is popular among pet owners who are looking for a high-quality, organic diet for their cats. One of the best brands found in the supermarket. Newman’s wet cat food rates high, too. If you buy supermarket pet food,Newman’s is a very good choice. Make sure your cats get filtered water (not bottled!). They hate the smell of chlorine, and that makes them drink less. Filtered water that takes out chlorine which smells good to cats, and if they drink more they have a chance at far fewer health problems, especially if you only serve dry cat food. When I opened Newman’s canned food it smelled as if it was decomposing. My cat didn’t seem bothered and she didn’t get sick, but I wouldn’t buy it again. I bought a bag of Newmans Own Adult cat dry. She would not touch it. Sat there for a week and a half just to see if she would. Nope.